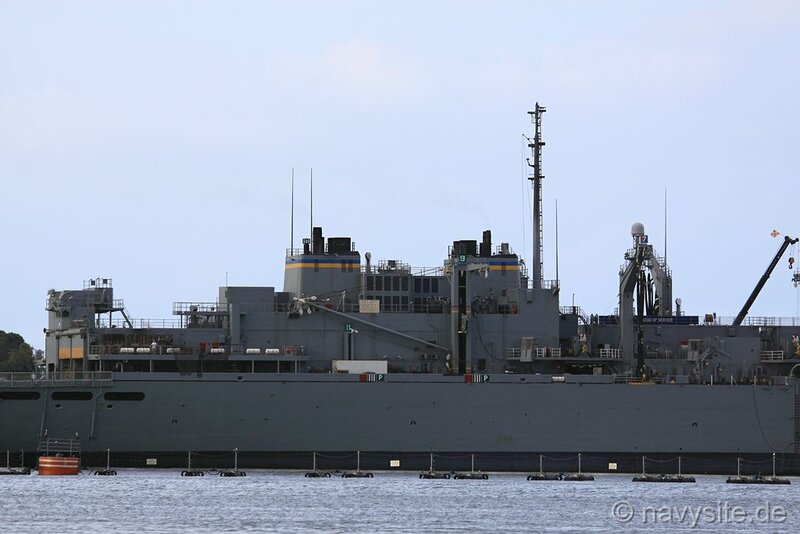 USNS RAINIER was one of the biggest supply ships in the world and the second AOE in the SUPPLY - class. 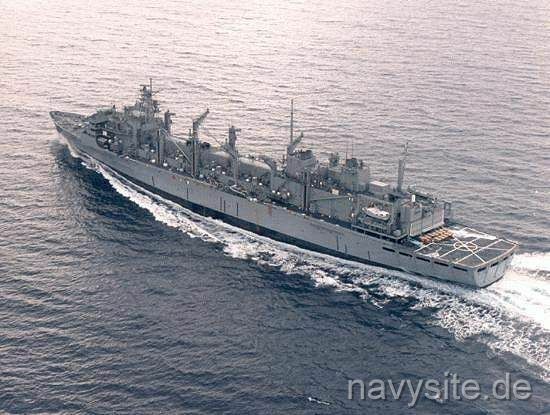 RAINIER was decommissioned on August 29, 2003, and was transferred to the Military Sealift Command where she was placed back in service as a "United States Naval Ship." 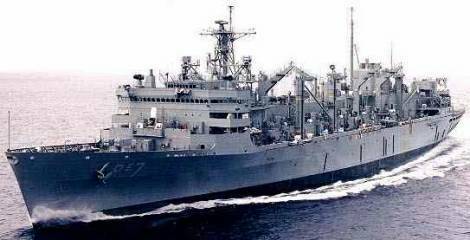 As a US Naval Ship, RAINIER did no longer carry the weapons systems she previously (as "USS RAINIER") was equipped with. 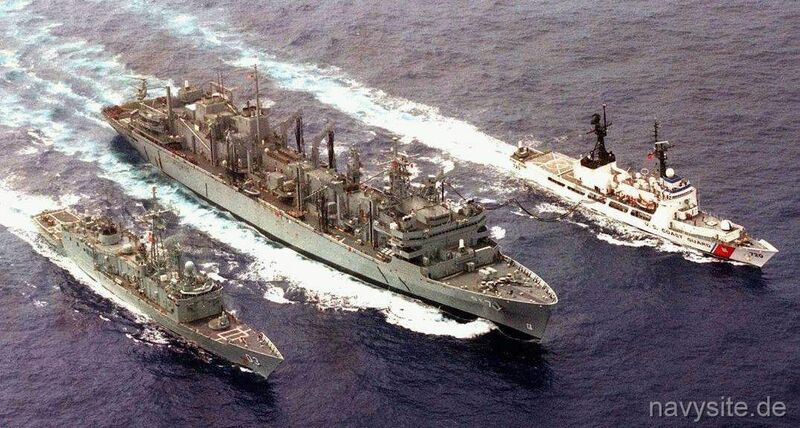 One of these systems was the Phalanx CIWS. 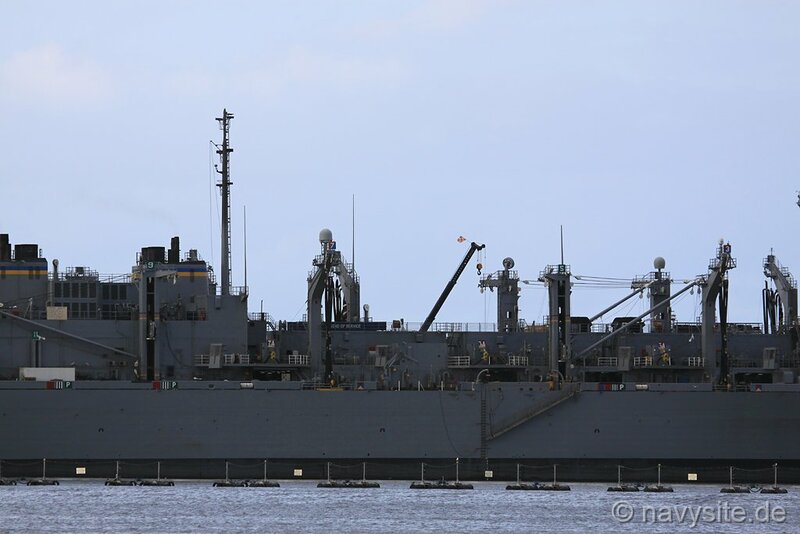 The RAINIER served under Military Sealift Control for another 13 years until she was placed out of service on September 30, 2017. 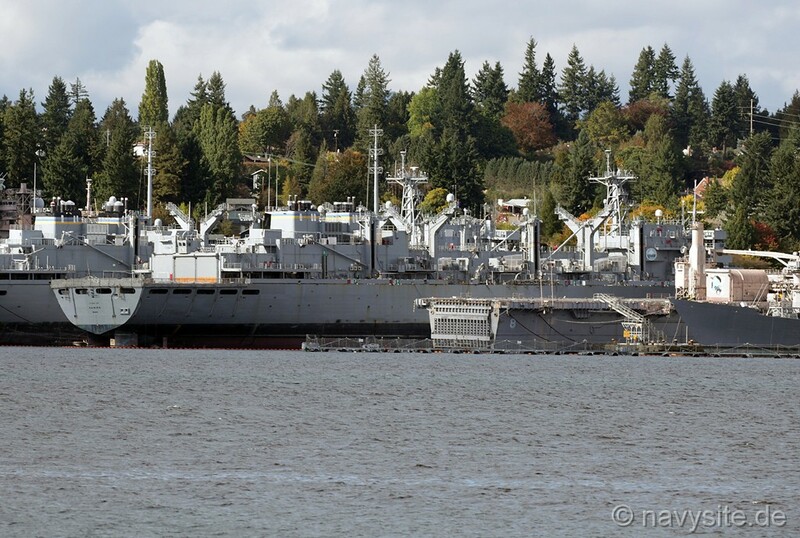 She is now held in reserve at the Puget Sound Naval Shipyard, Bremerton, Wash. This section contains the names of sailors who served aboard USS / USNS RAINIER. It is no official listing but contains the names of sailors who submitted their information. Dark Blue and gold are the colors traditionally associated with the Navy. Gold is indicative of honor, excellence, and achievement. The dark blue of the shield stands for loyalty and reflects the sea, the theater of naval operations. White suggests integrity and purity of ideals. Black implies solidity. The chevron, a symbol of strength and support, alludes to the prow of the ship and the peak of Mt. Rainier, the ship's namesake. 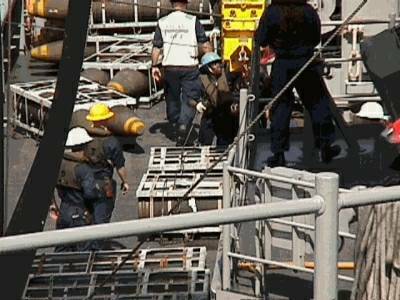 The black pellets characterize fuel and ammunition pointing to the ship's mission. The pellets are charged with twelve battle stars earned for World War II service in Korea and Vietnam. The three anchors, symbolic of maritime tradition, simulate the past and present ships. Red symbolizes combat, valor and zeal. The colors red, yellow, and green are the colors associated with Vietnam. The Torii gate recalls service in Korea. 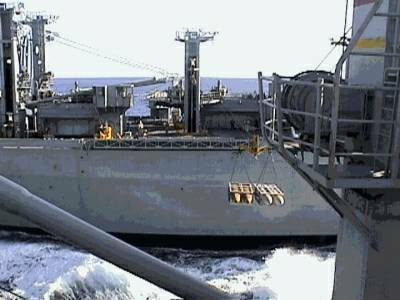 The bamboo ammulled signifies continuous replenishment operations conducted off Vietnam. The crossed palm fronds represent the ship's extensive service in the South Pacific and portray strength, support, honor, and achievement. A scroll azure dubbed and inscribed "LEGEND OF SERVICE" in gold. Mount Rainier, or "Tahoma" as it was named by the Northwest Native Americans, was named after then Rear Admiral Peter Rainier, R.N. in 1792 by Captain George Vancouver. 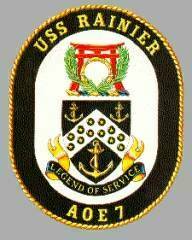 Born in 1741, Peter Rainier entered the Royal Navy in 1756. He served on the HMS OXFORD, YARMOUTH, NORFOLK, and BURFORD. In 1790 he commanded the MONARCH and early in 1793 commissioned the SUFFOLK which had 74 guns. In 1799 Peter Rainier was promoted to the rank of Vice-Admiral. He was stationed in the East Indies as Commodore and Commander-in-Chief until 1804. After his return to England and his retirement from active service, he continued to be consulted by the ministry on questions relating to the East India station. In 1805 he was advanced to the rank of Admiral. He became a member of Parliament in 1807 and died in 1808. 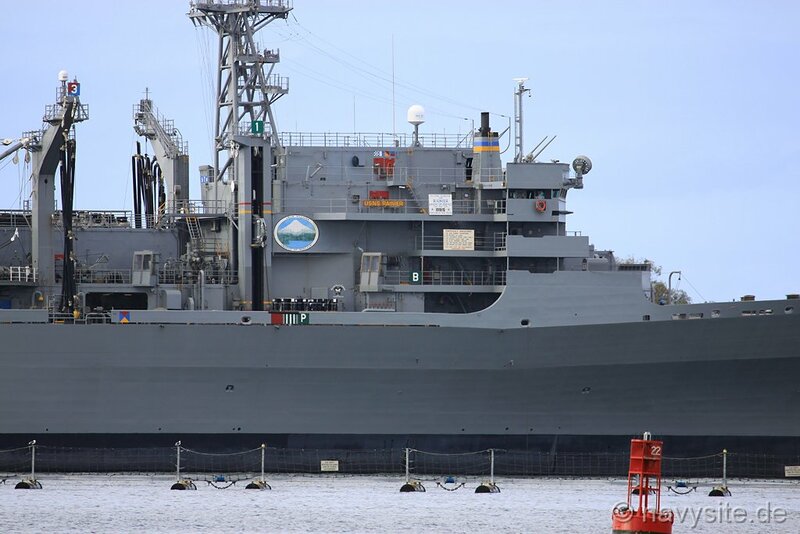 USS RAINIER is the third supply ship to bear the name of Mount Rainier, which is located in the state of Washington and is part of the Cascade mountain range. The mountain is a volcano born of fire and built up above the surrounding country by repeated eruptions and successive flows of lava. It is a relatively young volcano, only about one million years old. Mount Rainier is a 14,411 foot high volcanic peak along the west side of the Cascade Mountains. It is the fifth highest peak in the lower 48 states. On March 2, 1899 Mount Rainier became the fifth U.S. National Park. 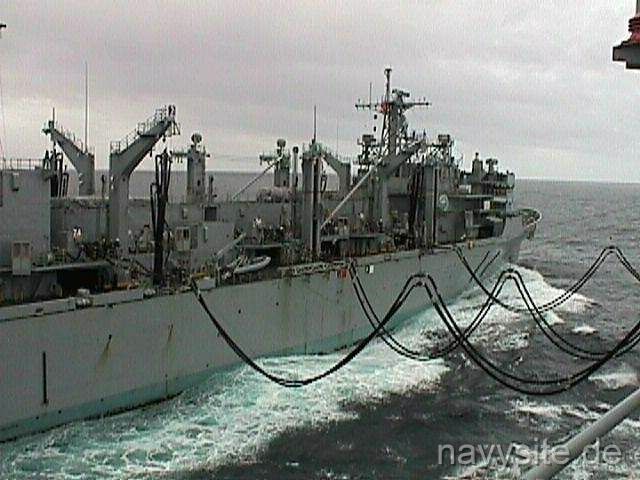 USNS RAINIER�s refueling rigs can pump up to 3,000 gallons of fuel per minute. 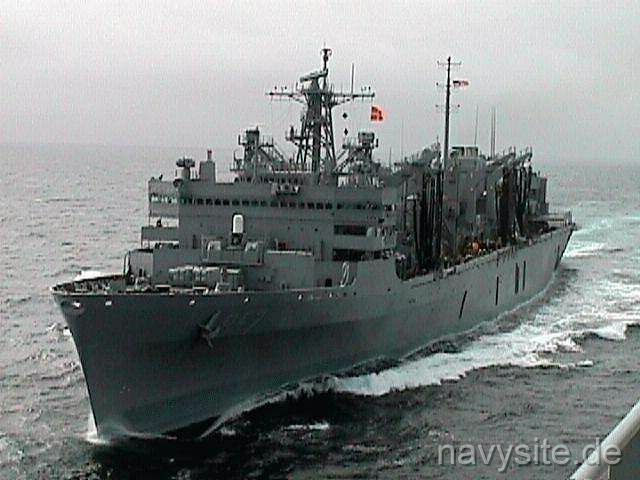 USS RAINIER (AOE 7) was constructed at National Ship and Shipbuilding in San Diego, California, and was commissioned January 21, 1995. 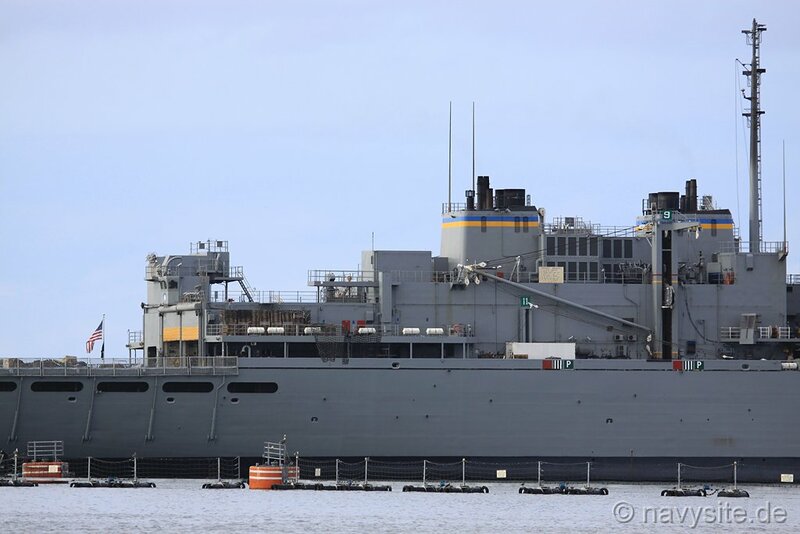 It is a SUPPLY class, Fast Combatant Support Ship, which is the first type of deep draft vessels to have gas turbine engines. 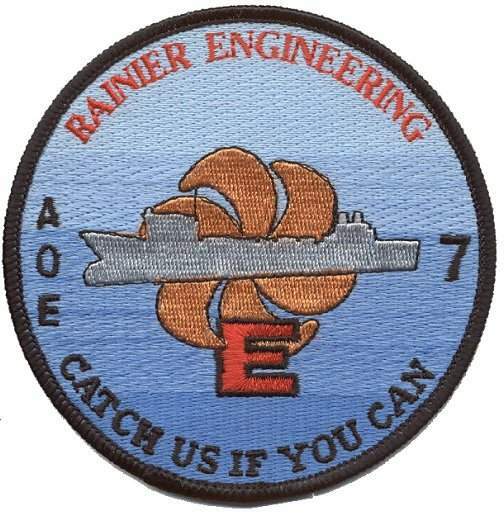 The AOE-7 contract design was completed in February of 1986 and steel fabrication work for RAINIER began on August 16, 1989 with the official keel laying conducted on May 31, 1990. RAINIER was built utilizing an efficient modular construction technique. 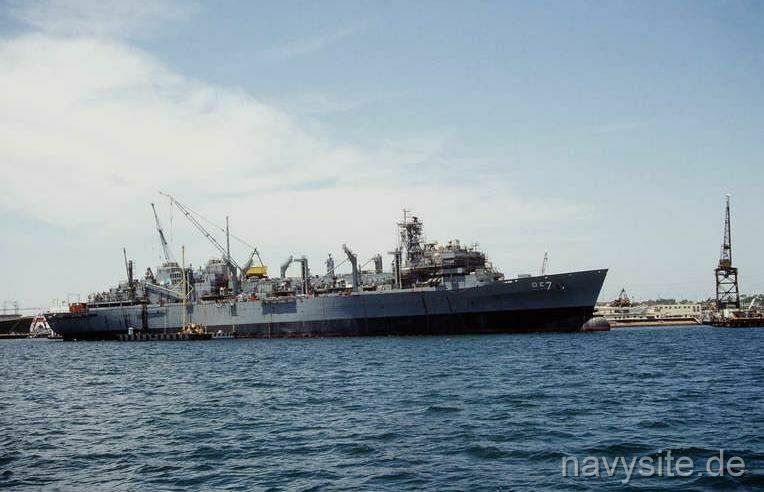 Separate sections of the ship were built with piping sections, ventilation ducting and shipboard hardware, as well as major machinery items such as main propulsion equipment, generators and electrical panels installed. These pre-outfitted sections were then brought together to form a complete hull. As a result of this construction technique RAINIER was nearly 50 percent complete when launched on September 28, 1991. The next three years were spent completing the electrical wiring, plumbing systems, ventilation systems and equipment and hardware installation. 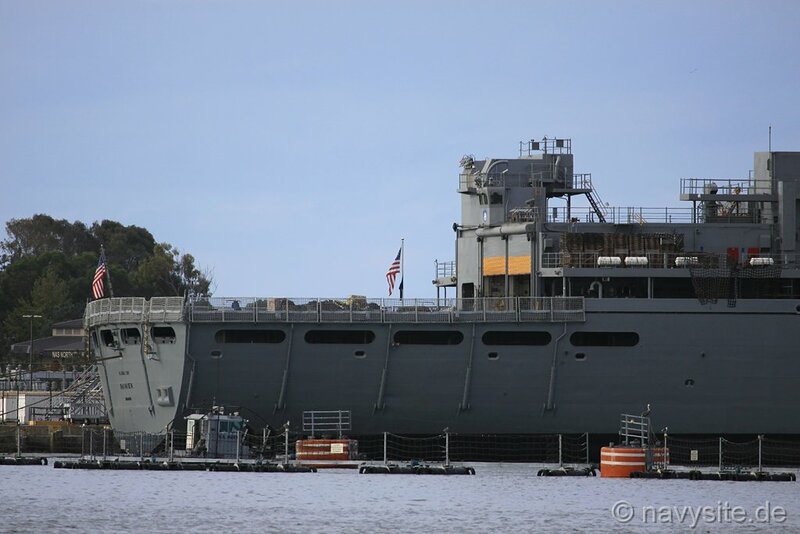 During the final phases of construction, RAINIER went through a series of dockside and sea trails to demonstrate its capabilities and to ensure product quality. 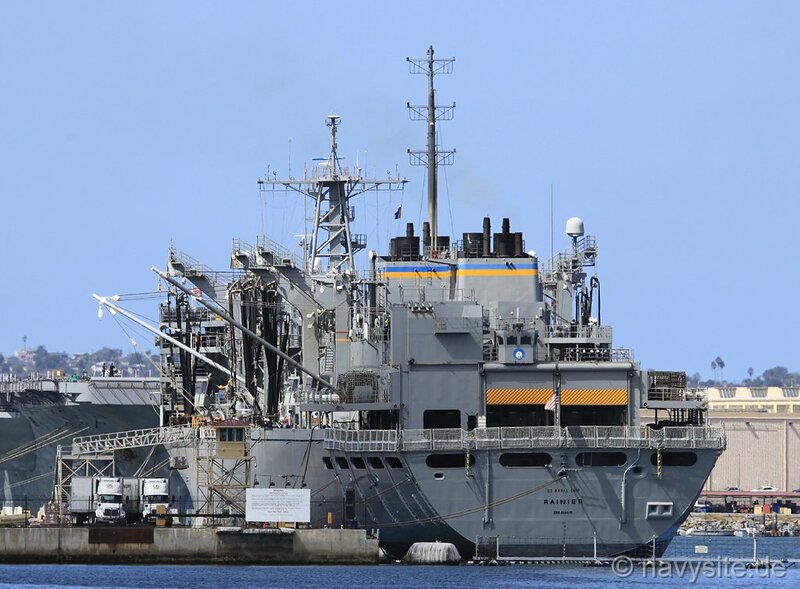 Following commissioning, RAINIER began work-ups for an overseas deployment. 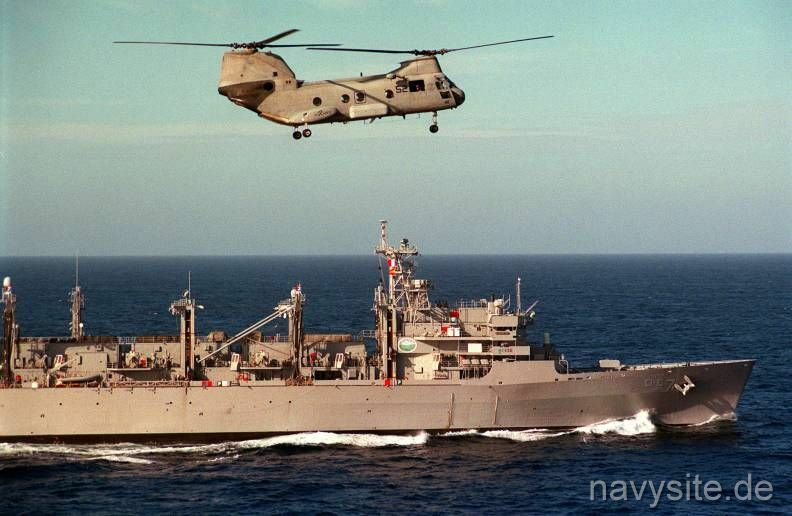 The ship departed its homeport of Bremerton, Washington, in November 1996 for its first deployment. 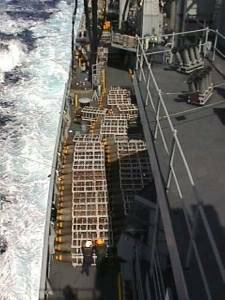 RAINIER deployed to the Arabian Gulf and Indian Ocean to provide fuel and ammunition to US and Allied forces and successfully completed all mission assignments there. Port visits were made to Singapore, Hong Kong, and Australia. 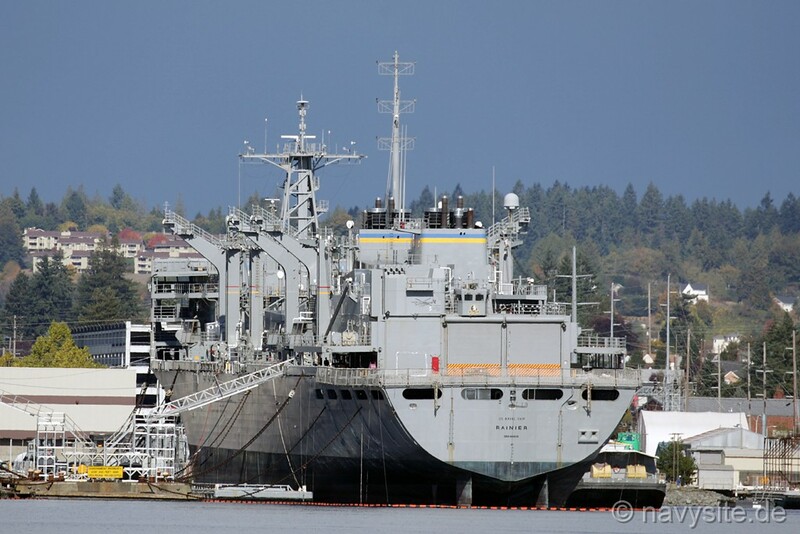 RAINIER returned to Bremerton and after a month of reduced operations to let the crew recover, started the training cycle to prepare for the November 1998 deployment. This training cycle included the RIMPAC 98 (Rim of the Pacific) exercise conducted with over thirteen countries. 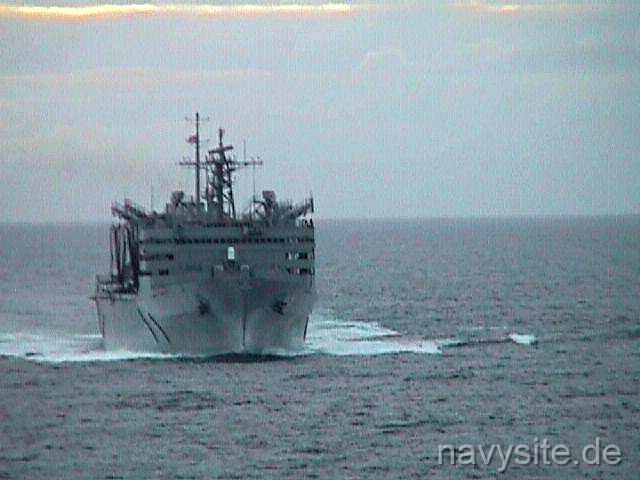 RAINIER deployed to the Arabian Gulf and Indian Ocean for her second deployment in 1998 to provide fuel and ammunition to US and Allied forces. Port visits were made to Singapore, Thailand, Bali, and Darwin, Australia. 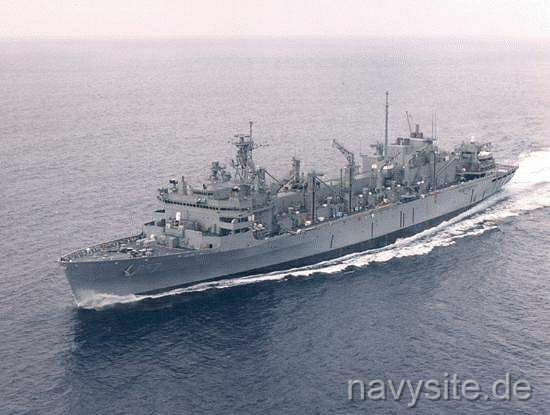 USS RAINIER was decommissioned on August 29, 2003, and was transferred to the Military Sealift Command where she was placed back in service as a "United States Naval Ship." The photos below were taken by me and show the RAINIER at Naval Air Station North Island, San Diego, Calif., on October 10 and 11, 2012. 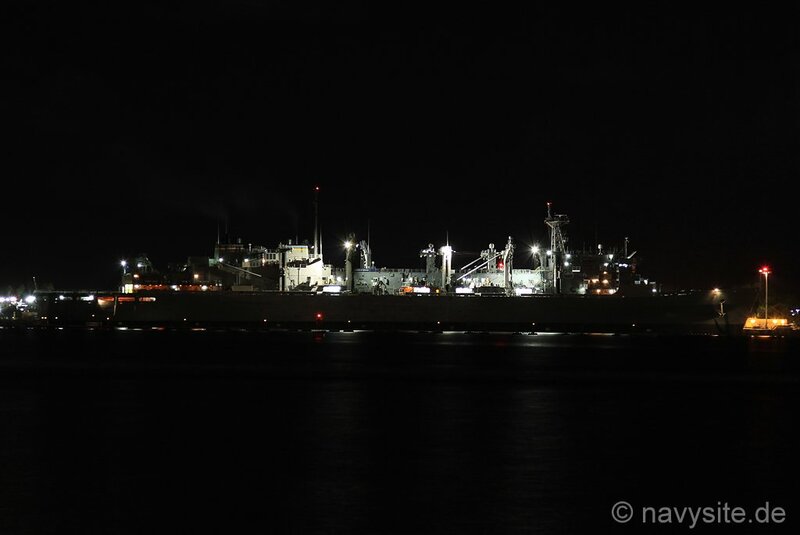 The photos below were taken by Michael Jenning and show the RAINIER laid up at Bremerton, Wash., on October 13, 2017. Back to Fast Combat Support Ships site. Back to ships list. Back to selection page. Back to 1st page.